I have played FFXIV for several years, and I find it is the most interesting to play FFXIV with a DualShock 4. In my opinion, it is not comfortable to play a game with a mouse and keyboard, which requries your entire workstation is set up on a table with you seated in front of it. However, console games use a controller held in hands. It is no longer necessary to seat in front of a table, and you can comfortably to seat in your couch. When FFXIV was announced for the PS3 and PC back in the summer of 2013, I was excited as it is playable from any lazy posture imaginable. 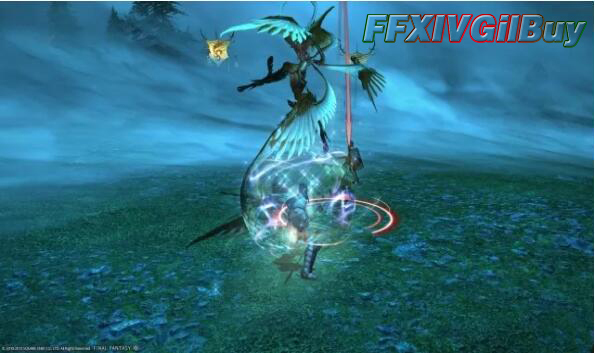 FFXIV was well designed to allow a DualShock 3 (and later, DualShock 4 for the PS4 version) player to fully enjoy the game. In terms of personal comfort, I love I can do everything I need to do in the game with a controller. Also, I can use a keyboard to chat, but now I can use a basic wireless keyboard placed on the coffee table, and no longer need to sit upright. Of course, many players are willing to swear by the mouse and keyboard. While I still like playing with controller and I have completed end-game content. For me, being able to play FFXIV while resting on my sofa. I can have my DualShock 4 connected to PC through bluetooth. You can use an a APP called InputMapper, which you can make it behave almost as if you were playing game directly from the PS4. The trackpad can also function as a mouse and a button, just like the PS4. Even if you have no intentions of playing on a sofa, I recommend anyone who has a desire to try the game with a controller to give it a spin.